When it comes time to start advance planning a funeral, you’ll find that there are several options open to you. 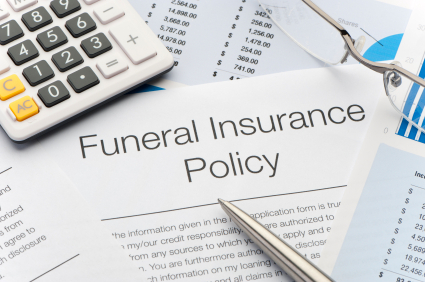 In addition to purchasing a plot or pre-paying for services, you can also choose to buy a funeral insurance policy. Like life insurance, this policy is paid out at the time of death—though usually in a matter of days rather than months, which helps you to cover the immediate costs of the funeral. Burial insurance might be another term thrown around as you decide which type of pre-payment plan is right for you. This option sounds more specific than funeral insurance, in that it might be earmarked just for the burial process, but the truth is that both types of insurance are the same. They are flexible and affordable options designed to help cover the costs of interment (either burial or cremation, as the case may be). Both funeral insurance and burial insurance are fairly small policies that are meant to cover just the cost of burial or cremation—sometimes with a little room left over for the beneficiaries to have funds for their bereavement period. These policies are almost always taken out in addition to a whole life insurance policy, and serve a more immediate purpose. While life insurance is meant to help cover the loss of income that occurs after a loved one dies, burial or funeral insurance is available immediately. 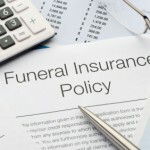 Funeral insurance can vary in coverage from a few thousand dollars to tens of thousands of dollars, and can be purchased years or months in advance. In many cases, burial insurance is purchased through a specific funeral home, and that funeral home may be named the beneficiary of the policy. This is a common practice in the industry, especially as people begin their estate planning and write their wills. That’s because the beneficiary of a burial insurance policy isn’t required to do anything with the funds other than what they wish—like life insurance, the money is signed over to their name, and becomes their property. In some cases, this means not using the money as it was intended to help pay for the funeral costs. When a funeral home is named the beneficiary, the monies are tied into the services provided by the home. This is almost always accompanied by a contract of services in which the deceased made advance arrangements detailing what he or she wanted (and was able to lock in current prices). The funeral home then provides those services and requires little to no additional funding from the family. Regardless of whether you name a funeral home or trusted family member the beneficiary, burial insurance is a wise choice for advance funeral plan. It requires minimal upfront costs and provides the peace of mind that comes with knowing you have taken the first steps in providing your family with solace during their most difficult times.